The lusciously dark and hypnotic Uncle Acid and the deadbeats make only their second appearance in Seattle on Saturday, September 25th. 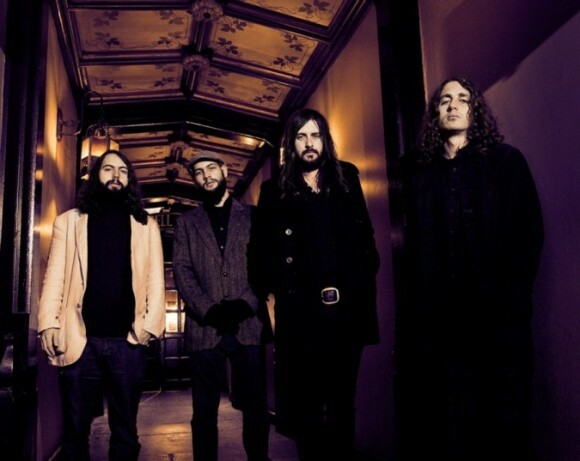 From Cambridge, England, Uncle Acid and the deadbeats have been described as psychedelic, doom metal. . . take your pick, but they go beyond that. With three albums each utilizing different themes (Blood Lust: witch-hunter Matthew Hopkins, Mind Control: cults, and The Night Creeper: killers), they also have a pretty much impossible to find work called Volume 1. Each album is fantastic rock, and even though Uncle Acid and the deadbeats’ popularity has been slow going (I can’t explain this), they’re really a band you should get to know. For more information & tickets follow this link to El Corazon’s event page. Written by: Dagmar on 09/25/2015.on 09/26/2015. This entry was tagged posted by dagmar, uncle acid and the deadbeats. Bookmark the permalink.